Red Bridge on the Manistee River will be closed this summer! 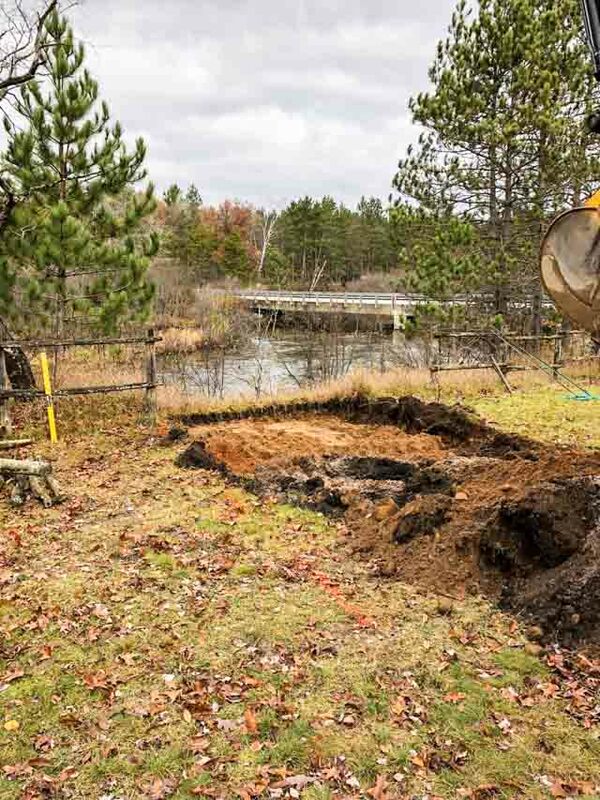 The bridge on Coates Highway crossing the Manistee is slated for replacement this coming summer. Beginning on or about April 2nd and through August the road will be completely closed while they replace the approximately 200 foot long bridge. The project is slated for completion at the end of September, 2019. 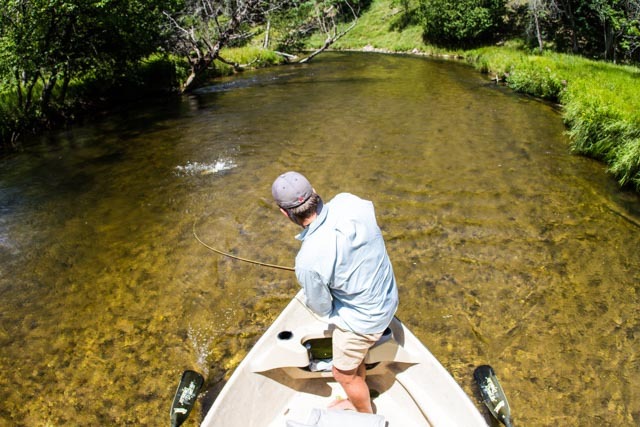 The water above and below the bridge is one of our favorite big smallmouth destinations in July and August. Where the bridge crosses the river is the back waters of Tippy Pond. This area has great smallmouth bass water. It’s also the take out spot for the trout water above the bridge coming down from Hodenpyl Dam near Mesick. In addition to great fishing water the river from Hodenpyl to Red Bridge is a very popular canoe and kayak destination. Along with amazing hiking along the North Country Trail. 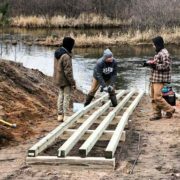 Manistee County Road Commissioner, Mark Shodden has stated that the boat ramp will stay open during the entire construction process. He has requested that all river users be cautious when on the water near the bridge. The good news is that we will still be able to fish that water though detours will be required to get to it. For the last year or so I have been wearing Costa’s Sunrise Silver Mirror glasses. At first I was thinking I would only use this color lens for a hour in the morning and a hour in the evening. I assumed they would fit a niche time of day when the darker, daytime lenses where too dark. I was dead wrong! The sunrise silver mirror was far more of an all day lens than I thought it would be. Even though the sun rise silvers are a lighter color lens I was impressed with the way they cut glare and how well you can see in to the water. The sunrise silver lens really shines for me on overcast, drizzly days. The low light days where the light conditions don’t change. 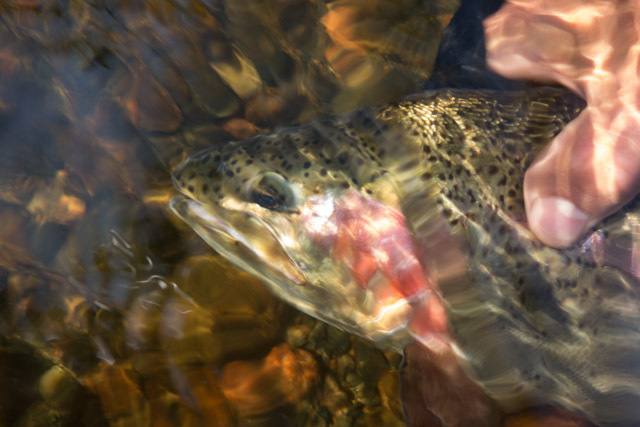 The days that you feel like every fish in the river should be biting. The first time I had these lenses on in dull light conditions I was amazed. The way they seem to gather the light and still cut the glare was a true eye opener. Another big plus is the way the sunrise lens performs in the dark. 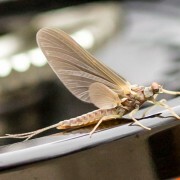 If your are fishing dry flies at night for nocturnal brown trout or fishing bridges at night for tarpon they have got you covered. This is very important because we should always wear glasses while fishing. Now there is a lens that allows us polarization without the dark shade. Its very hard to see a fly heading your way in the dark and there is no replacement for our eyes. I do tend to change out the silver sunrise lens to the green mirror copper lens when the day goes to blue bird conditions . High sunny skies are a bit to bright for the silver sunrise. The green mirror is a great choice for river and backcountry fishing on sunny days. Now that Costa offers the sun rise silver in the 580 glass lens, they have all the bases covered. The 580 lens cuts haze and glare for a more crisp view. The 580 also filters out the yellow light enhancing colors of blues and greens helping in reading water. With the number of frames styles to choose from and it being offered in the 580p and 580g there is a pair for everyone. 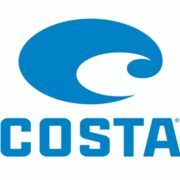 Check out Costa Sunrise Silver Mirror at your local fly shop. Working on the water in Michigan and Alaska this lens has been the best choice for me most days. This is a new book, America’s Favorite Flies. 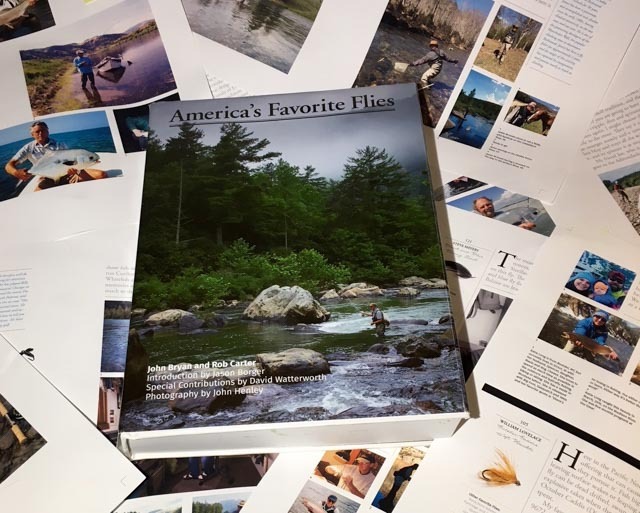 It showcases 224 favorite flies from such notables as Yvon Chouinard, Lefty Kreh, Joan Wulff, Craig Mathew, Huey Lewis and others including Russ and I. All of the profits are given to two nonprofit organizations. They are the Native Fish Society and the James River Association. 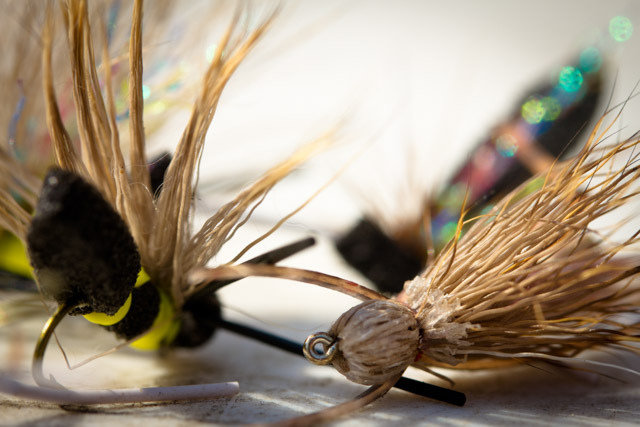 America’s favorite Flies is fun to read. In addition to Russ and I, I’ve seen other Michigan anglers featured. John Kluging and Dennis Potter are in the book. 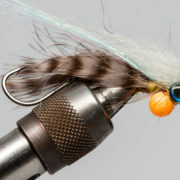 Each fly tier answered some questions and did a write up about themselves and or the fly the called their favorite fly. I’ve enjoyed both the stories and the photos, I’m sure you will too . There is also a ton of artwork by well know artists including Dave Ruimveld, Bob White and others. This is a substantial book, 656 pages, 1700 color images, it weighs 7 1/2 pounds! 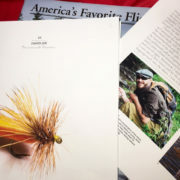 It is is a great coffee table book for the avid fly angler! You can get more information about it at American’s Favorite Flies. America’s Favorite Flies is available for sale for $145, shipping included, directly from the printer. It may be purchased by emailing me at chuck@hawkinsflyfishing.com or by calling 231-228-7135. If you would like Russ and I to sign it, we will be happy to! Just add $10 to the price to cover the extra shipping. Many thanks to John Bryan and Rob Carter for inviting Russ and I to participate and for creating such a beautiful book. 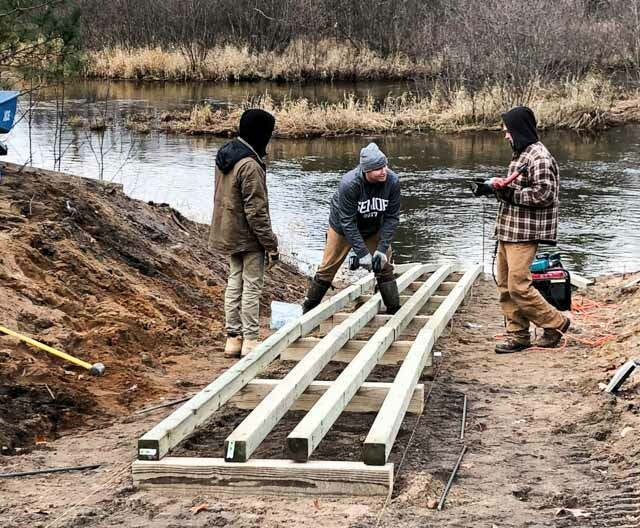 I’m happy to announce after nearly super human efforts from Jim Anderson and Dave Boberg of UMRA and the very generous contributions from many of our clients the new boat launch near CCC Bridge on the Upper Manistee is nearly done. Way back in August I let you all know it was in the works. Predictably Jim and Dave ran into a bureaucratic nightmare getting 4-6 agencies to sign off and to then pull permits. Without going into which agency was the logjam I’d like to congratulate these gentlemen and all of our donors on a job well done. Thank you. The new launch is just downstream of CCC Bridge on river left (as if you are looking downstream) just below the large dock. Notice the bridge in the photos. The construction includes an increase in parking along with the standard slide that has proven so bullet proof in the past. 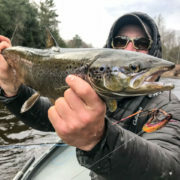 The Upper Manistee River Association jumped into this project the minute it was realized that we had a problem with the loss of a private launch just downstream. I encourage all of you that use the river with boats, kayaks, canoes, even tubes to join and support UMRA. You can join here. I encourage all those guides to commit and send a few bucks too! 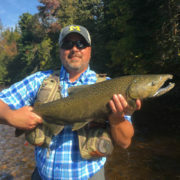 Fly fishing on the Garden River First Nation for King, Pink and Coho salmon, along with steelhead is the best in the Midwest. The reason is privacy, this section is private,owned by the Garden River First Nation, a band of Ojibway Natives. No one is fishing where we are! 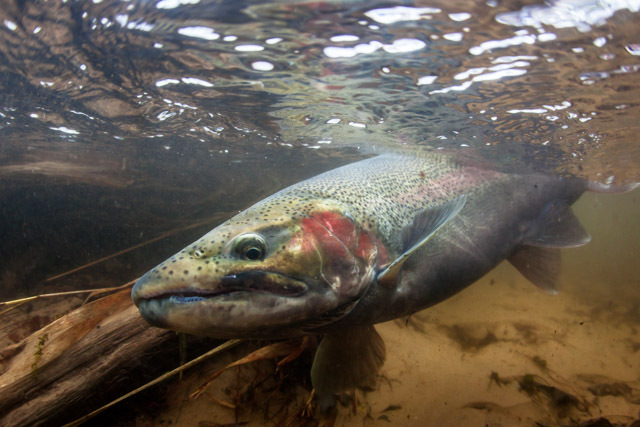 The lack of pressure makes the salmon more likely to eat a fly and the steelhead beyond willing! The Garden River fly fishing in 2017 started with a run of very large pink salmon. Usually when we have larger than normal pink salmon the numbers of fish is less than normal. That was not true in 2017, it was huge run of pink salmon. Fresh fish continued to move up the Garden River until the end of September! The dominant characteristic of 2017 season was the lack of rain and high air temperatures. The last significant rainfall was in the week of Sept 10th. After that a couple of small thunderstorms was it. The rainfall in the week of Sept 10th brought a nice run of large king salmon upstream along with a nice surprise, steelhead! 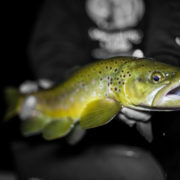 For the next 10 days or so we had great fishing with all species available. 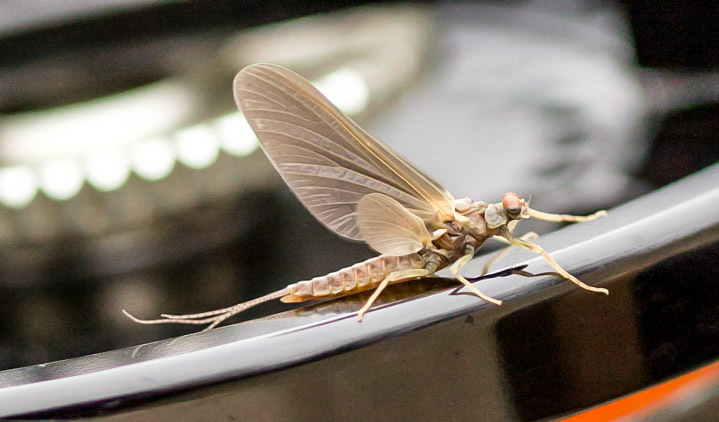 The Garden River Fly Fishing was humming right along until mother nature threw us a curve ball, 5 straight days on 90 degree temps and a continued lack of rain. This shut off the fish tap and started reducing water levels. The fishing suffered accordingly. Most noticeable was the lack of steelhead. The day that the weather broke we had high temps in the low 60’s with clouds and drizzle all day. 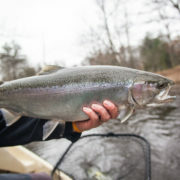 That brought in another small push of kings but not many steelhead. That gave us enough fish to finish our Garden River 2017 adventure. 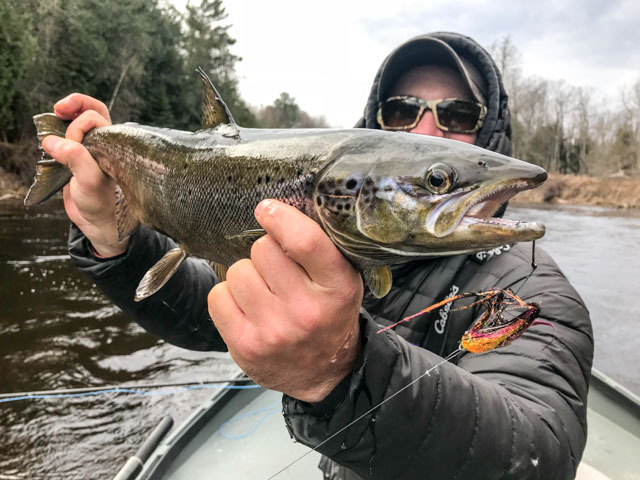 Many thanks to all of the anglers that fished with us up north in 2017. All in all it was a pretty good year. Weather hurt us a little but didn’t kill us! Most of the customers rebooked their spots so we have limited availability in 2018. We have Sept 8-10, 4 spots. 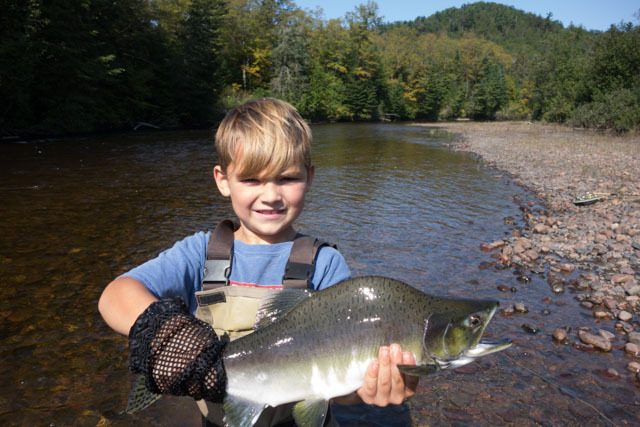 This date may be reduced to two days as it is prime pink salmon time and great for kids. Call for details of reduced pricing for children. On Sept 20-22 we have 4 spots available. These are prime time for all species with historically steelhead start showing up. Available dates are subject to change. Learn more about the Garden River on our Travel page.